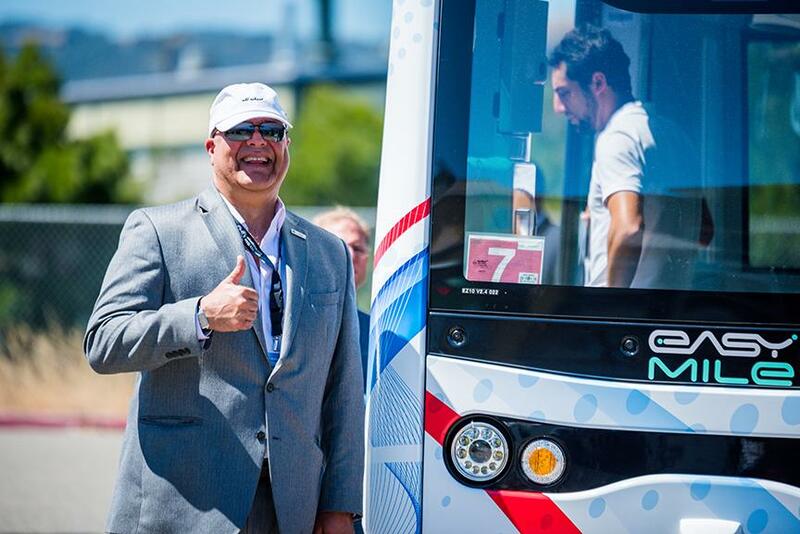 Calif.’s Livermore Amador Valley Transit Authority (LAVTA) celebrated the launch of testing of its new Shared Autonomous Vehicle (SAV) at an event held at the Dublin/Pleasanton BART Station. Vehicle testing will take place on public roads in the city of Dublin, Calif.
GoMentum Station and AMG Staff are responsible for overseeing the testing phase of the LAVTA SAV Project which is expected to continue for approximately two years. The AMG team was instrumental in facilitating partner collaboration and spearheading legislation and obtaining required permissions from the National Highway Traffic Safety Administration and the California Department of Motor Vehicles. 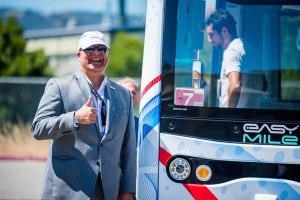 This is the second SAV project to kick-off in the Bay Area, the Contra Costa Transportation Authority paved the way with their SAV Pilot Project at Bishop Ranch in San Ramon, which began testing on public roads earlier this year. LAVTA’s SAV is a second generation EasyMile EZ10, which can operate in fixed route or on-demand mode. The vehicle weighs 3,500 pounds and has space for 12 passengers. First Transit will provide operational support, maintenance, and an onboard customer service agent for passenger questions and information. Easy Mile is the SAV manufacturer. The SAV is designed to travel short distances using pre-programmed routes, and is equipped with a sensor and intelligent vehicle system to detect obstacles and avoid collisions. Each all electric SAV can operate for 14 hours on one battery charge and aims to provide sustainable first-last mile connections that meet California’s greenhouse gas reduction goals. Funding for the project is provided through a grant from the Bay Area Air Quality Management District.